Accurate Inspection Service, is a licensed Home Inspection firm servicing all of South Central Alaska from Homer to Talkeetna. We have provided quality service for over 18 years with over 8,000 home inspections performed. We also have more than 38 years of experience as a residential General Contractor. We call upon our unrivaled experience and attention to detail to evaluate and document the condition of the property. We electronically send a report along with supporting photographs to you within one business day of the inspection. 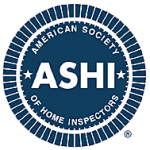 If needed, our home inspectors are available for further phone consultations. Our customer service and the value of our inspection cannot be matched. Alaska Housing & Finance Corp.
Use our online tool to Schedule a Home Inspection in the Anchorage area (Eklutna to Girdwood). Contact Jon at (907) 243-0352 for Energy Audits, appointments outside the Anchorage area, or other queries. 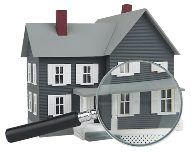 Accurate Inspection Service provides both home inspection and energy audit services to all of South Central Alaska.